This was my favorite section, and is almost a year since the last update, any plans on doing the Conflict at the carrock review? Hi Daniel! I’m glad to hear you enjoyed this section. When it came time to prioritize all the different articles and topics, I made a decision to put the encounter card set reviews on the back burner due to lower reader interest than the other topics. However, I personally enjoy writing them, and so there’s every possibility that I will pick them back up again at some point. Hey, really appreciate the articles, but a quick question. I’m a pretty new player, so I may be confused, but you mention that a Legolas/Blade of Gondolin combo can clear locations. The Legolas card says that you may place progress tokens on the *quest*, not the location. This counts for locations as well? Btw loving the site, glad I found it, thanks for all the great work. Hi Clint. I’m glad you’re enjoying the site and thanks for the kind words! Although it doesn’t seem like it just based on the language, progress from Legolas/Blade of Gondolin does indeed go on the active location before the quest stage. In fact, progress must always be placed on the active location before the quest stage, unless an effect specifically says “(bypassing the active location)”. This was something that had to be cleared up in the official FAQ. 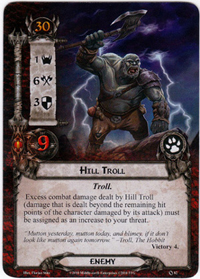 Speaking of which, the FAQ is a handy resource if you haven’t looked at it yet, and it answers many common questions: http://www.fantasyflightgames.com/ffg_content/lotr-lcg/support/LotR-FAQ.pdf. Hope that helps!